Tendril, the home automation company, is easing out of hardware so it can sell software to meter makers and others. Tendril Networks is making the shift to software. The Colorado-based company, which to-date has specialized in ZigBee-based systems that monitor home energy use, is licensing its software to third-party equipment makers. Under the partner program, companies that make meters or ZigBee networking modules can load Tendril's TREE platform into their own hardware. Tendril's software will then, among other tasks, ensure that that the utilities and the smart meters can communicate with the "smart" appliances in the home. In turn, Tendril will receive a fee. In a smart meter deal, for instance, Tendril might receive $10 to $15 a year from a utility that installs smart meters animated by Tendril's software. Early members of the program include Landis+Gyr, Silver Spring Networks, and Itron. These are some of the big names in smart metering, although it is unclear where or how these companies will use the software. Onzu and Radio Thermostat Corporation of America, which make meters and in-home displays, are also working with Tendril. The company also opened its programming interfaces so consumers or companies can build applications. Internally, the employees built a Twitter application to see who is using the most, and least, power at home. "The APIs are there so anyone can play with it," said Adrian Tuck, CEO. "No one really knows where energy efficiency is going to stop." As the market expands, software compatibility will likely become increasingly important. 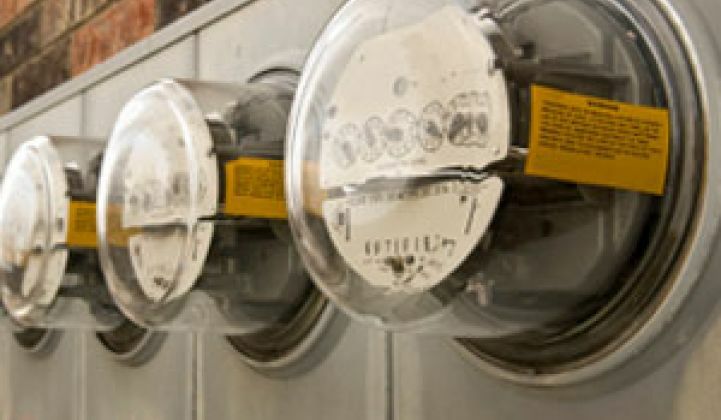 Utilities will install the first several million smart meters, but after that, they just might to start to offer consum ers $100 or so bounties to install it themselves. If all that equipment at Home Depot doesn't play well together, consumers will gripe to the utility and smart metering will slow. Like many other companies in smart metering and energy efficiency, Tendril is tailoring its business plans to carve out a more honed niche in the market, similar to how computer makers in the ‘80s shifted from making everything themselves to concentrating on a few defensible competencies (see Green Light post). Gridpoint, for instance, started out as a company making a device that controlled energy consumption in people's homes. It ditched the hardware and tailored its software to something utilities could use to monitor and control power consumption. The announcement was made in conjunction with DistribuTech, a smart metering extravaganza in San Diego this week.